Cannot have attachments. Cannot take damage. Brood Mother engages the first player. 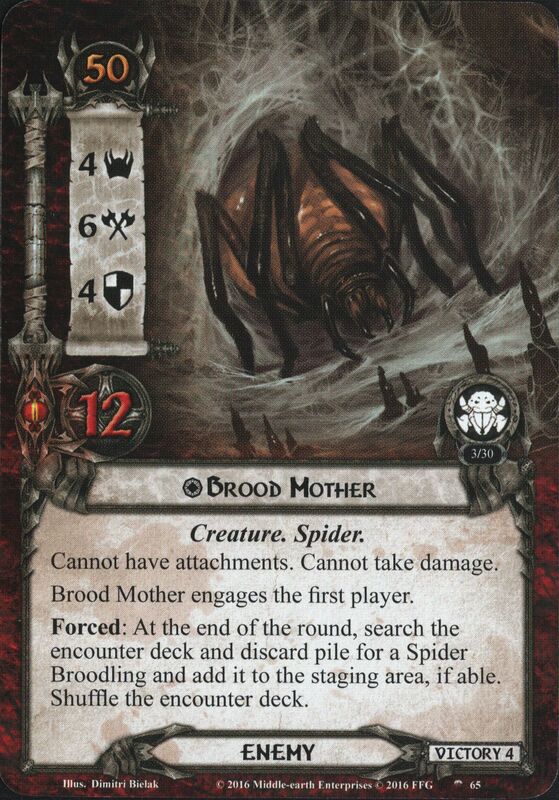 Forced: At the end of the round, search the encounter deck and discard pile for a Spider Broodling and add it to the staging area, if able. Shuffle the encounter deck.